Seoulistic.com is Korea’s top travel and culture website. Through our website, YouTube videos and social media (Facebook and Twitter), we give tips on Korean culture, traveling to Korea and living in Korea. Our main goal is to promote Korean culture and travel to Korea through fun and entertaining videos and blog posts. And every month these numbers grow higher. Through our social media presence, Seoulistic’s posts often go viral. When they do, they average 15,000 hits in one single day. We also have numerous travel keywords on the first page of Google. 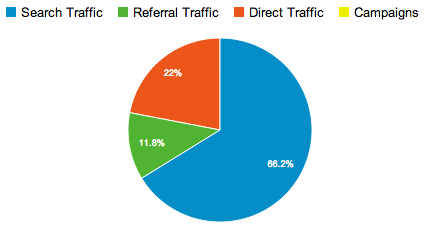 Every month, 62% of our visitors are new visitors. Many of our videos have gone viral, and are well over 200,000 hits per viral video. Daily, we reach about 20,000 people by Facebook. We have a large following for domestic foreigners living in Korea. For April 2014, we had 50,000+ visitors from South Korea. Also, we have travelers outside of Korea planning their trips to Korea. 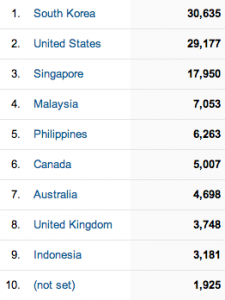 For April 2014, we had 150,000+ visits from travelers planning their trip to Korea (including United States, Singapore, Malaysia, Canada, Australia, United Kingdom, Indonesia and Philippines). The age range for our visitors is perfect for any customer base. 76% of our visitors are 18-34 years old. Currently, Korea is seeing a boom in tourism and foreign residents. And many businesses in Korea are trying to establish themselves while the tourism market is still new. Advertising with Seoulistic.com can be your chance to tap into Korea’s rapidly growing number of foreign residents and visitors. If you have a service or product that foreigners would enjoy, please contact us by email ([email protected]) for rates.